Available at market leading prices, we offer a versatile range of Agriculture Spray Parts to our clients. These products are one of the innovative options used to be fitted with different kinds of agricultural spray equipment. Moreover, appreciated for its outstanding features, our range can be availed in variegated specifications as per the clients' requirement. We are Leading Manufacturers, Suppliers of all kinds of Customised and Drawing Based Products of all types. 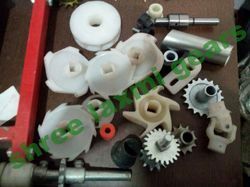 We specialize in customization of parts for construction and parts for agricultural machinery for all makes and models. Our engineers just need specifications or drawing with specified dimensions to custom design and develop unique parts. Made from selected raw material, every parts is tested for quality and performance. Being a customer oriented organization, we are deeply engaged in offering a wide array of Reversible Plough Housing. 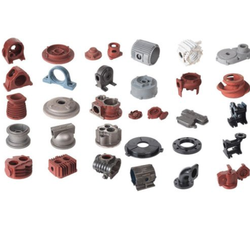 We are a remarkable entity, engaged in manufacturing a qualitative array of Lock Yoke. Relying on our expertise in this domain, we are engaged in offering Weather Cap to our respected clients. AGCO Part for combine main bore has +.012 mm grove and step bore is over sized in turning and it shrinks to size after heat treat. Shovels are available in various sizes as per customer requirements.